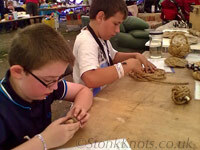 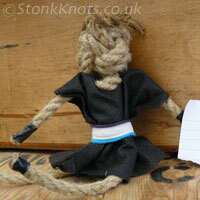 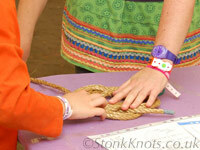 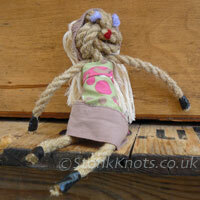 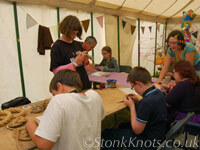 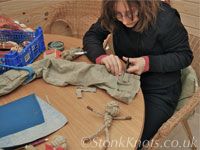 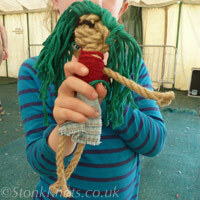 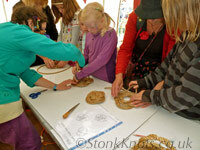 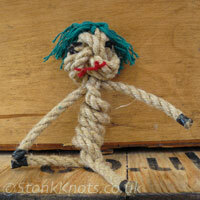 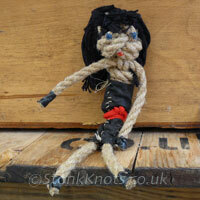 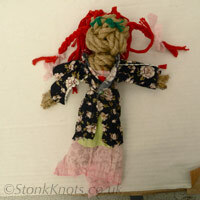 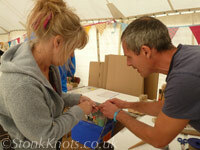 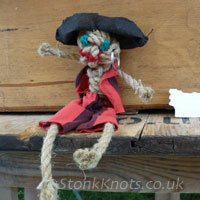 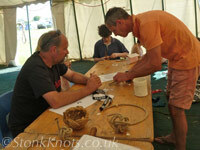 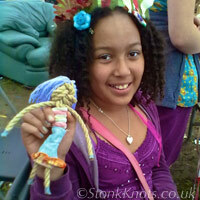 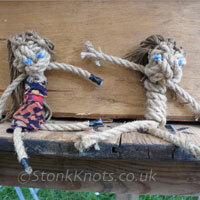 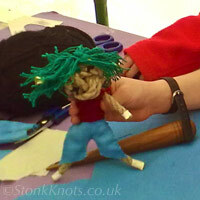 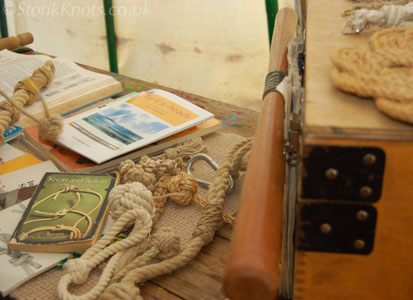 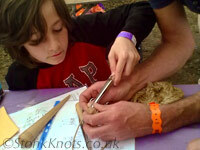 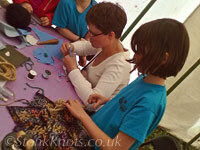 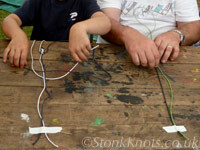 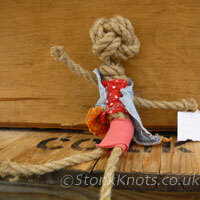 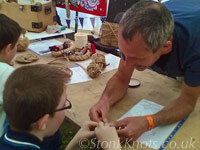 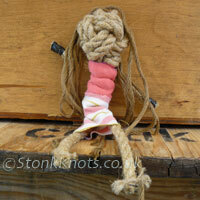 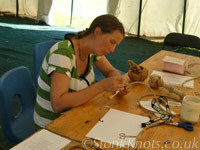 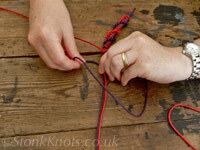 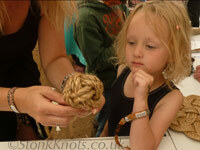 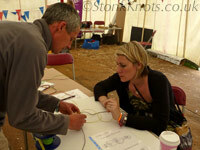 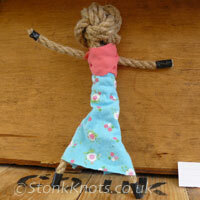 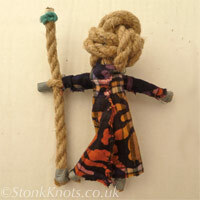 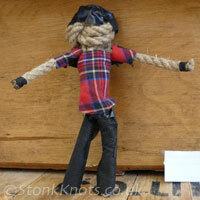 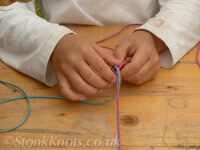 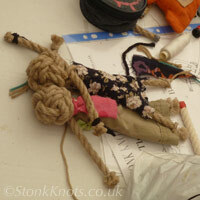 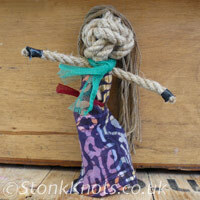 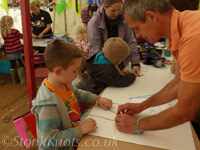 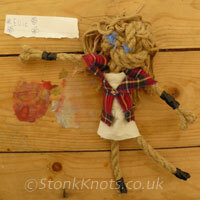 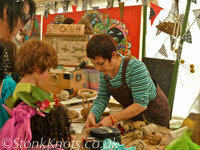 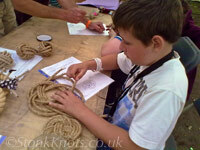 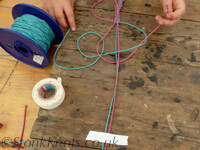 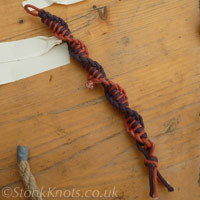 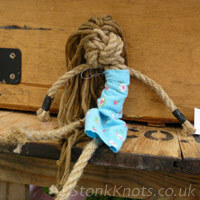 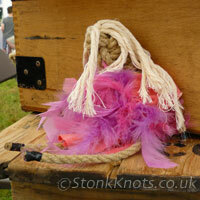 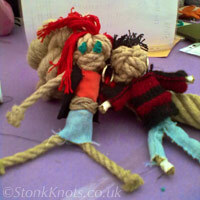 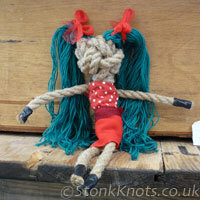 Stonk Knots Knotting Workshops Gallery. 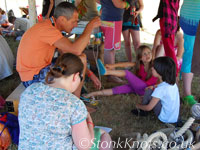 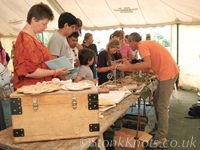 Here are some pictures taken of our knotting workshops at festivals and events since 2010, and a gallery of participants' handiwork. 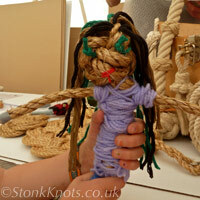 If you have participated in one of our workshops and would like to contribute some photographs or information, such as your name or a caption for your rope doll, to this page, please email us. 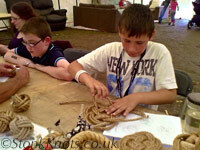 Hover your mouse over the photographs for descriptions. 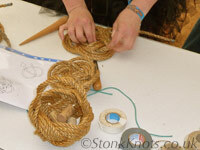 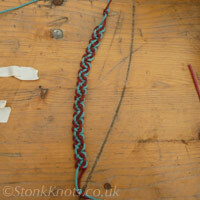 For further information and examples of knotwork, see our projects gallery and Working with ropes pages.